Galaxy s4 awesome speaker quality, powerful sound ring. Xperia my favorit to with galaxy s4. s4 or sony experia Z?? Samsung s4 very good handset performance is very good and camera is excellent gaming its so good. noooh baby!!!!!!!! 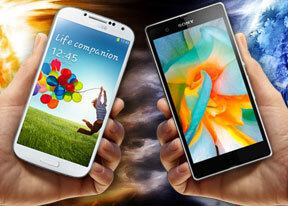 sony xperia phones are better.